Now why is this the most important thing in the world for you? I’m glad you asked! 1. You can block domains that you don’t want to see in your Google search results. 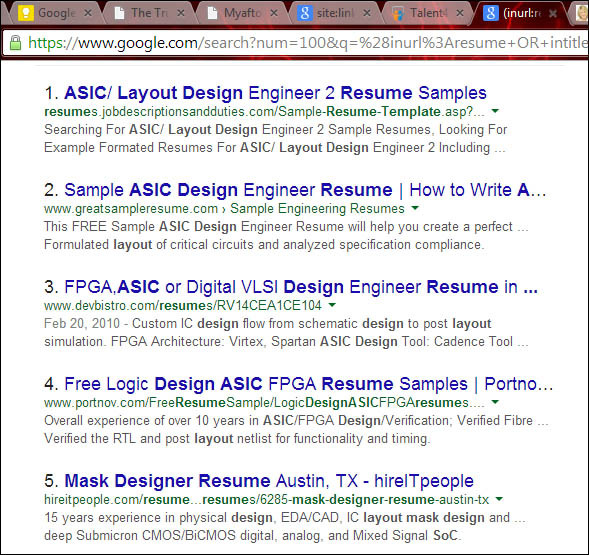 These include job sites, resume sample sites, and a whole host of others that always clutter up your search results. 2. You can import / export the results. I have over 120 domains blocked from my results. If you are in a hurry and need to do a quick search, then you will really appreciate the way this extension changes the look of your results. The i/o feature is useful for distributing the list between team members or other computers of your own. 3. If you make a mistake and block a domain by accident, it’s no problem. You can just go to the list and “unblock” it. Not so good, huh? 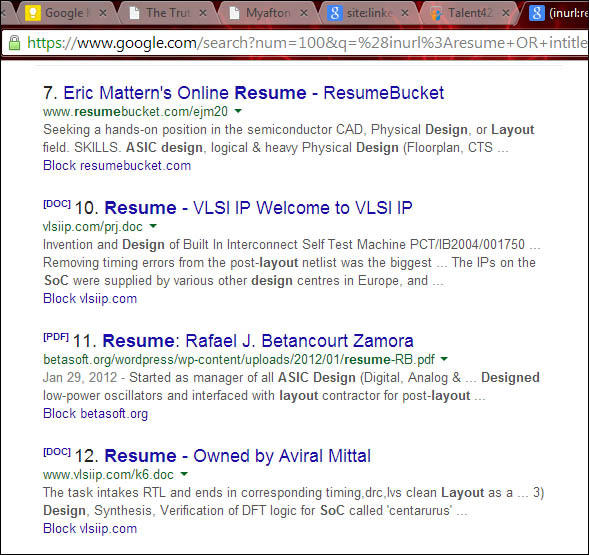 A lot of job sites, resume samples, and devbistro. Argha!!! You can tell that the extension is blocking domains because of the change in the numbering of the results (that’s another extension I’ll tell you about later). The first result that shows up on my page is #7. The other results have been blocked. I highly recommend using it. Just one of many great plug-ins that enhance the web-browsing experience. AdBlock is another key one, but it sometimes causes longer load times. Either way, it’s the cost of web-browsing bliss.